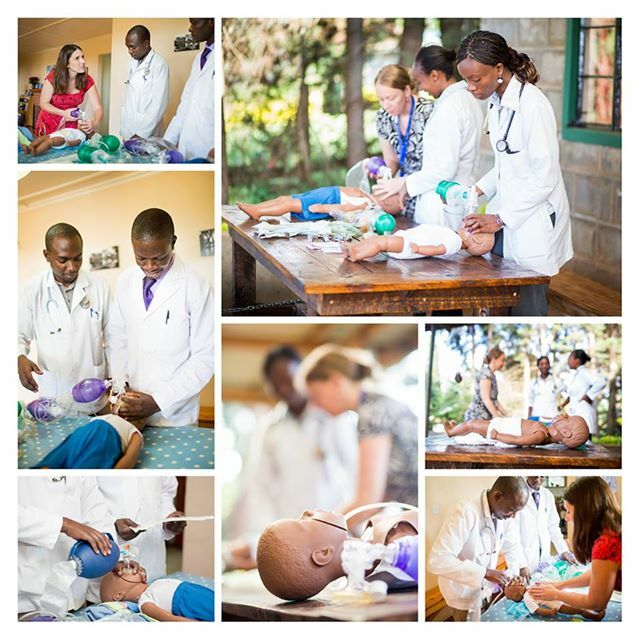 The PECC-Kenya Fellowship training program is a two-year fellowship in Pediatric Emergency and Critical Care customized for pediatricians from Sub-Saharan Africa. Training occurs at University of Nairobi/ Kenyatta National Hospital and at A.I.C. Kijabe Hospital in rural Kenya. Fellows are being trained in management of acutely and critically-ill children in the public and private, urban and rural, tertiary care and district level health care sectors which are all relevant to practitioners in sub-Saharan Africa. The PECC-Kenya Fellowship training and fellow supervision is being provided by a combination of local Kenyan and visiting experts in Pediatric Emergency and Pediatric Critical Care, in addition to a supplementary online learning platform. The fellowship program started in January 2019. It is hard to imagine a better gift — or a better purpose — than saving children’s lives, and gifts from generous philanthropists will be central to the PECC’s success. Please join us in improving the critical and emergency care available to the children of sub-Saharan Africa; please join us in reducing preventable deaths and saving lives. To support this program, please visit our make a gift page. Pediatric Emergency and Critical Care-Kenya (PECC-Kenya) is an international collaboration committed to improving the management and outcomes of critically-ill children in sub-Saharan Africa. Read more about the team.